A black and white photograph of the Remembrance Day Service on November 11, 2005. 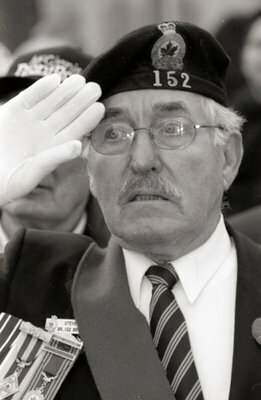 This photograph shows a veteran saluting during the service. Remembrance Day, November 11, 2005, Carl Ferencz. Whitby Archives A2013_014_010C.